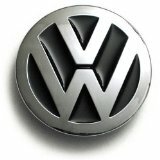 Every Thursday, from approximately 6-9pm, the Good Ole Volks Volkswagen club members and VW owners gather to share their love of Volkswagens. They meet at Herbie's Place, 3136 Battleground Avenue, first inside for dinner and then outside, as weather permits. On warm summer nights, they can be seen lingering in the parking lot giving on the spot tours of VW engines and interiors. As you can see from the VW Bug mounted in the exterior wall of Herbie's, the VW crowd is welcomed with open arms. During the photo shoot last week, we affectionately called the Bug on the left "Snowball," (for obvious reasons) and the one on the right, "The Blue Virginian" since it had VA plates. If you are looking for a place to meet people as passionate about Volkswagens as you are, this informal event is the one for you. However, you might want to visit the Good Ole Volks website first to learn more about the club. You may want to contact someone ahead of time,as you can never be quite sure how many Good Ole Volks will turn up on a given Thursday night. Who knows, maybe we'll see YOU there tomorrow! As for the post, we're linking to Watery Wednesday theme day because, as you can see, it had just rained and the water made great reflections. We've had lots of rain lately! Love those wet carpark reflections! The blue volkswagon's wheels are quite distinct! The yellow one is so cute! Great photo! I really like the reflections. Well composed. Nice car photos..the yellow is so attractive though the blue one also is regal. Wow,this reminds me of my pop. He really was a big fan of the volks. There was a time when I was ever glad --announcing he bought some additional car. But oh boy, it was another volks!!! We had three - red white and blue! LoL. You certainly had plenty of water. Great shot, you have captured the reflections so well. My daughter has started posting pics of all the different colors of new bugs we see around town. It is kind of a fun adventure. http://taraphotoblog.blogspot.com/ We did see an old one that unfortunately was going the other way the other night that looked like a patchwork of different color parts. Doors, hood, etc. I really can have breakfast now! I love this shot. Some great looking beetles there. I don't get to Greensboro as often as I used to, but I've probably been by this place and never noticed it. But now that my son's transferred to UNC-G maybe that'll change. To respond to your comment, I'd guess that 80-90% of my work is "homegrown", that is, shot here in NC. But now and then I throw in a shot from somewhere that's else. Hey there! I am Julianna from the Good Ole Volks West! I came to one GOV event many years ago. We live in Oregon, but are currently driving to Florida. My husbands Sister lives in Mooresville, NC, so we will be in the area next week. I know Brent and Laura, as they started the club, then moved back. Pea Pod used to belong to me! Hope she is still on the road! :) I would like to meet with the group when I'm in the area if that's ok. I think I may have Brent's phone number somewhere. Email me, as I get my mail on my Blackberry when we are on our journey. Thanks! Storms make trees take deeper roots.Your post moved me.